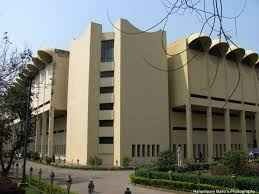 Bangladesh National Museum, formally inaugurated on 17 November 1983, is one of the largest museums in South Asia.BNMVT Dhaka Museum, formally inaugurated on 7 August 1913, was its forerunner. Bangladesh National Museum is devoted to archaeology, classical, decorative and contemporary art, history, natural history, ethnography and world civilization. Bangladesh National Museum, one of the largest museums in South Asia.